Extra heavyweight stock for extra durability and longer life. Full height extended tabs allow extra space for labels. Tabs embossed for easy label placement. Extra heavyweight stock for extra durability and longer life. Labels sold separately. This product was made using wood sourced from a certified managed forest. 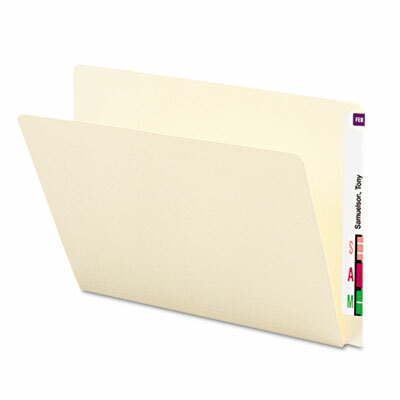 Click here to see more File Folders! Height: 9 1/2" Width: 15 1/4"
Expansion: Scored for 3/4" expansion HUB Compliance: A supplier that was either certified by WBENC as a woman-owned business or by NMSDC as a minority-owned business or is affiliated with AbilityOne. Height: 9 1/2" Width: 12 1/4"